The Tony Awards, coming on June 10, recognize Broadway's finest moments, the best performances, score and costumes of the season, to name just a few categories. But all is not always rosy on the Great White Way. We asked stars of Tony-nominated shows such as “Once,” “Clybourne Park” and “Newsies” to recall the on stage-gaffes that caught them off guard. 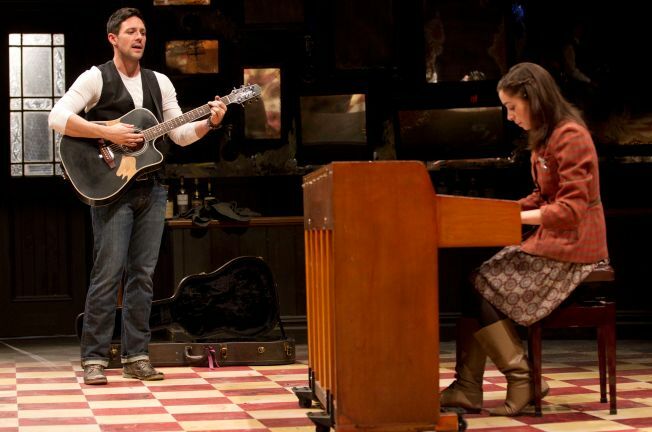 Steve Kazee, Tony-nominated this year as star of the romantic musical “Once,” previously rode a fire-spitting broom as Tim the Enchanter, one of multiple parts he played in “Monty Python’s Spamalot.” Kazee recalls one evening with the temperamental prop. “Newsies” star Kara Lindsay, who plays an aspiring newspaper reporter, had her own confrontation with a broom this year, shortly after the Harvey Fierstein-scripted musical opened at the Nederlander. In 2006, “Clybourne Park” star Annie Parisse appeared in “The Internationalist” at The Vineyard Theatre. The comedy included as a set piece a darkly painted window, suspended by ropes from overheard. For one particular scene, the window would swoosh in overhead at the same time Parisse was making her entrance. A star of “Priscilla Queen of the Desert” is Priscilla herself, the thusly christened pink bus that transports the musical’s three human leads through the Australian Outback. Tony Sheldon, a 2011 Tony nominee as Bernadette, recalls one difficult evening during previews in Sydney.